There may be a reason that every other car we see in China just so happens to be a Tesla. With significant air pollution in Beijing and cities in North China, an initiative needs to be taken, and Tesla has done just that with their new in-cabin air filter. Tesla’s HEPA filter is something to marvel at. Inspired by air filters in hospital rooms and the space industry, Tesla has created an air filter that eliminates pollen, bacteria, and pollution before they enter the cabin. This technology is strong enough to provide clean and safe air under virtually any environmental circumstance. In a test done by Tesla, the car was placed in an air bubble full of pollution at 1000 µg/m3, a level which is almost lethal. Within two minutes of turning the air filtration system on, the pollution levels inside the car were not only safe for consumption, but too low to be picked up by the detection devices! On top of this, monitoring software recorded that after cleaning the car, the filtration system even helped remove nearly half of the pollution that was on the outside of the car. Tesla claims that this air filtration system is powerful enough to withstand a bio-attack, a huge claim which is not entirely backed by their testing, as they seem to have skipped testing phases including Anthrax and Ricin. 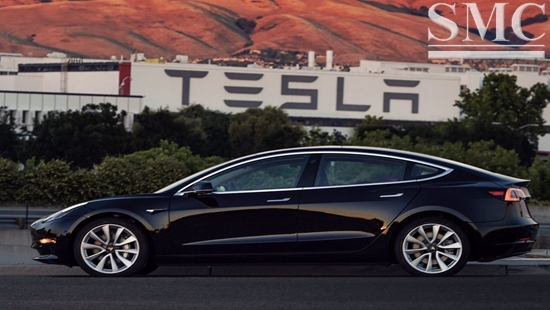 Nonetheless, the drive, motives, and innovation of Tesla employees in helping their customers and environment are some things that we should all look up to. Here at Shanghai Metal Corporation, we pride ourselves in providing the world with quality automotive products at competitive prices. For more information about our product offerings, global shipping, and exceptional customer service, please visit our website here, or reach out to us on Twitter @Shanghai_Metal, Facebook, or LinkedIn!